Keep the temple clean and use Bio – degradable plastics. Smoking, Non – Vegetarian food, liquor or other intoxicants. Gaming with cards, dice, counts, money or other instruments of gaming. 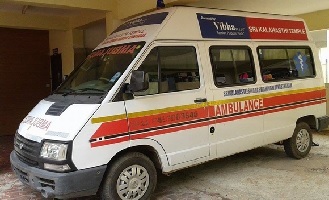 Temple Provides Primary Health Care services (First Aid) at the temple administrative building and the Ambulance services to the Piligrims in case of Health Emergency. 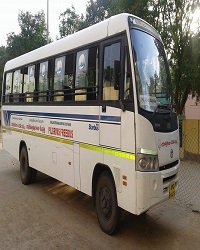 Temple operates Free Bus to the piligrims from Temple to Railway Station and Bus-stand and vice-versa as a free service. All the piligrims visiting Srikalahasti can utilize the free bus service. Temple Provides Primary Health Care services (First Aid) inside the temple premisses. Endowments Department, followed the orders of Andhra Pradesh Government, made chariots, and placed Sri Swamy, Ammavari and Rahu Ketu’s idols in the chariot. This chariot is sent to various parts of the state in order to distribute the information about the temple and Hinduism. 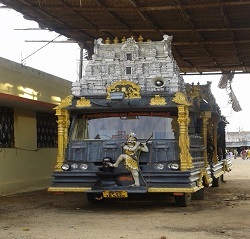 This chariot is also being sent to other states during festivals. 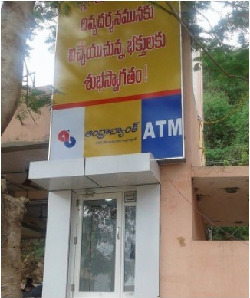 Andhra Bank was set up at the southern gopuram with their courtesy to serve the devotees. This opportunity is being utilized by devotees.